The AMANZI Women's Candy Puzzle bikini features a maze of candy coloured shapes and patterns in an all-over print. These eye-catching patterns and colours make the Candy Puzzle bikini a perfect costume for use at training sessions or leisurely swims. 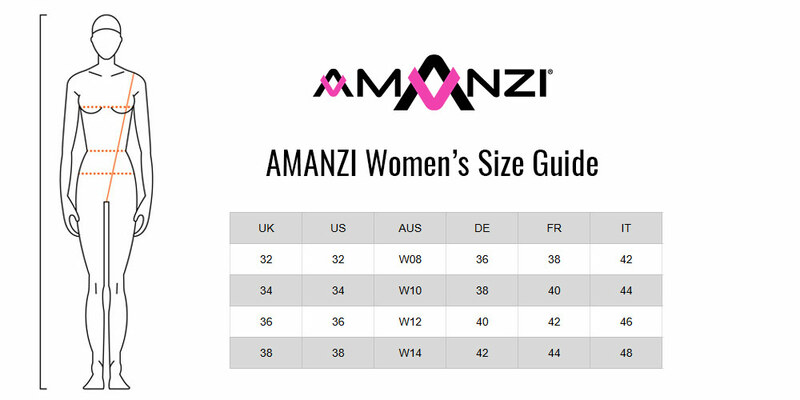 AMANZI's chlorine resistant "ARMOR" fabric ensure your bikini withstands the tough conditions of chlorinated water and keep your swimsuit in shape and looking brand new for longer. Fitted with a 100% polyester lining and solid back & shoulder straps, this AMANZI bikini has been designed with comfort in mind.